Tetris, one of those game history icons. Sonic, Lara, Pac-Man, Space Invaders and Tetris. There are some games even the oldies will know of, it was twenty eight years ago that I first found joy in stacking Tetrominoes, Christmas of 1990 was spent with a weighty original Gameboy in my hands and the incessant tinkling of Tetris blocks dropping into place rattling through my ears. It’s 2018 now and Tetris just about took the world by storm again. 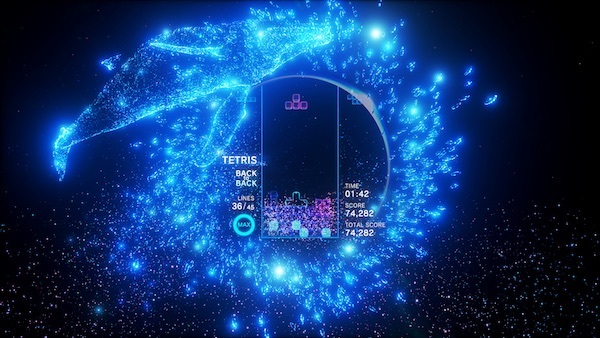 Tetris Effect is a bold and vivid re-imagining of the classic, since those Gameboy days I have held and played various versions of the game with little interest. 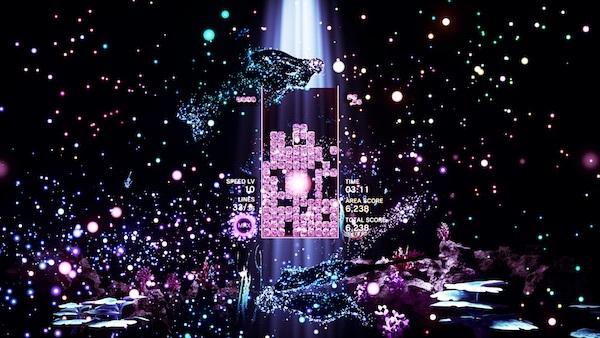 Tetris Effect is here to change all that, it is obviously a title made with love, a colourful journey through evocative visuals and emotive soundtracks. In a time where we are constantly fed the next big thing, grander visions, larger worlds it is so refreshing to be brought back to earth with a game that closed out the eighties perfectly. The back end may be bigger than a Sydney fireworks display, but the core gameplay remains. Tetris when it is at its best falls into the ‘minutes to learn, years to master’ category. There are extras and enhancement, for its part we should call them ‘Effects’ and they are all well considered. Adding to the depth of the core game with more challenging gameplay Effects have certainly earned their place, but finding your rhythm in the classic game and wading through a speeding tide of falling blocks has not felt this slick in a couple of decades. Not forgetting that the themed stages are dressed beautifully, particle effects are used to stunning levels as the game takes you from a windblown desert to a nautical setting. The stage designs are the dressing that makes the game look good, they also raise the bar once you slip on the PSVR unit and get surrounded by flowing graphics, wispy particle animations and thumping patterns. However, you barely get a chance to stop and smell the flowers when things get crazy, so the dressing becomes ambience which notably adds to the experience, but isn’t something you can stop and take a good look at. 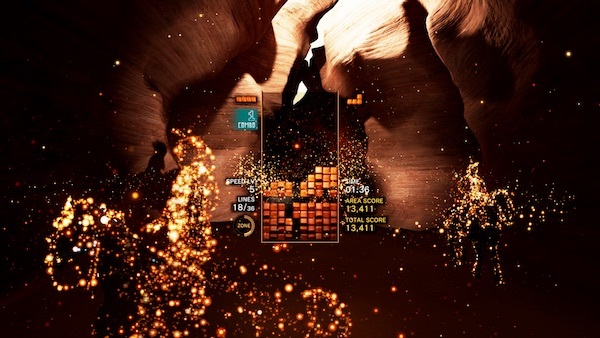 The meat of Tetris Effect is in Journey mode, working your way through a series of stages all grouped in sets of levels. The goal is to clear the set in one go, but while failing may kill your grand score there is little penalty for playing out the missing level of the set to get through. 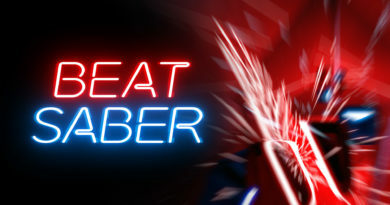 Again they are beautifully themed and each have their own spin to throw at you, mostly being a challenge to overcome, some throwing a controller smashing frustration at you. This is usually due to a burst of speed either during the stage or at the end, just when you think you have it in the bag and then it starts raining Tetrominoes. That said, no matter how frustrating a level may be, you still come back to try it again and again and again until you can move on. 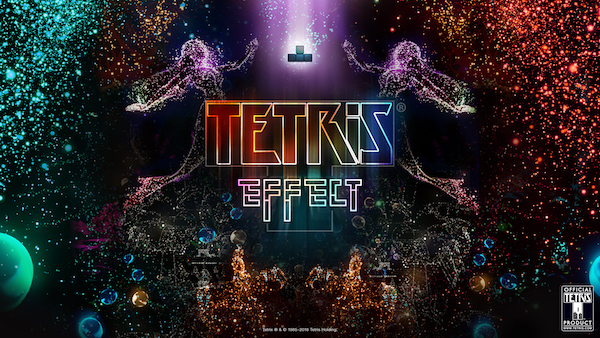 Aside from the Journey, there are a number of Effects modes, basically custom games of Tetris to play and find your favourite. There will no doubt be obsessional gamers born for this mode, picking their favourite discipline and sticking with it purely for global bragging rights on the scoreboard. Modes range from insanely fast ‘Ultra’, to ‘Marathon’ runs at 150 lines and my current favourite ‘Purify’ which is all about clearing lines and scoring by taking out odd coloured blocks. 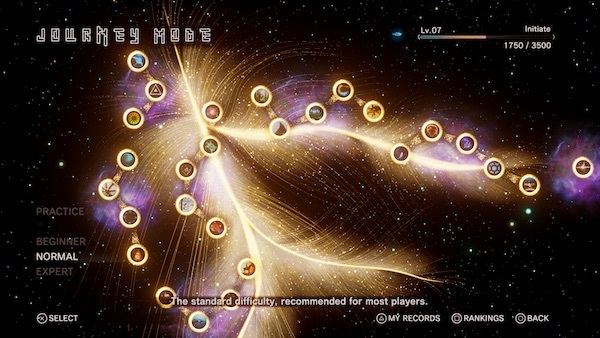 There will also be a meta-game in Effects mode where players will get to play in a Weekend Ritual on a specific mode, if the community reaches a given score then they will be awarded special Avatars. A mild attraction, but still worth a look. 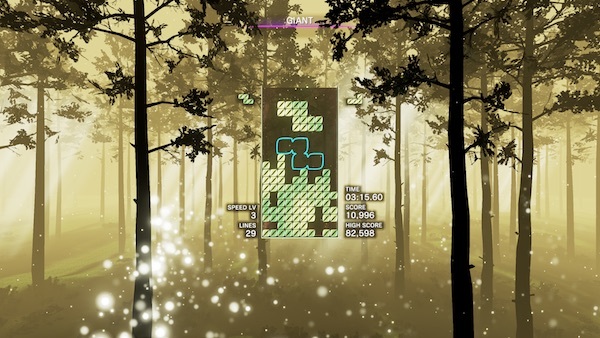 The Avatars have their own place in eta scheme of things too, outside of the game you get to see your Avatar floating around a model of the Earth and by skimming around this planet you can see where all the games of Tetris are currently being played, along with some colour indication as to the type of game being preferred. The game may not have any multiplayer and I’d argue that it doesn’t need it, but it does give you a nice way to see that you are not alone in this Tetris universe. Its a great package, stunning visuals and a soundtrack that can soothe one moment and pump up your blood pressure the next. 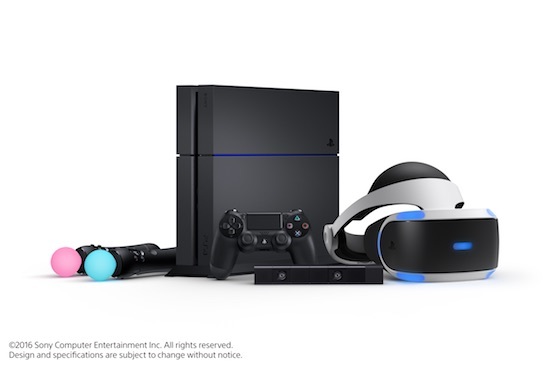 Not forgetting that however gorgeous it looks in 2D, you simply cannot go past the game inside a PSVR unit. Possibly the most focused way to play.